MealPro Review: The Best Meal Delivery Service For Fitness Enthusiasts & Bodybuilders? Andy Sartori founded MealPro as a way to help those with a busy schedule achieve their fitness goals. He wanted a way to provide them with a high-quality nutrition solution so they can get meals that are customized to their needs, but still taste great. Through this idea, he was able to create a service that provides customers with pre-made, microwavable meals that give the balanced nutrition athletes and bodybuilders need. To craft the meals on their menu, they have a chef, a professional bodybuilder, and a nutritionist working together. This is to ensure their meals are not only delicious, but that they’re healthy and satisfying as well. If it sounds like MealPro could be just what you need, keep reading to learn more about it. We’re sharing how you can join, the types of food they have to offer, and all the necessary details to help you determine if this is the right commitment for you. To get started with MealPro, you’ll need to first decide how many meals you’d like to receive in your box. You can choose between 10 meals or 15 meals for your order. From there, you’re then prompted to start selecting your meals from a variety of options they have available. The only downside is that there aren’t a ton of options to choose from at this time. There are only 2 choices for breakfast and 12 items that could be enjoyed for lunch or dinner. Other healthy meal delivery services such as Green Chef and Sun Basket offer a bit more variety. If you find something that catches you eye, you can always order multiples to fill out your box for the week. Since they do rotate meals, you’ll have to keep an eye out for any new dishes that land on their menu. Once all of your meals have been selected, you’ll be taken through the checkout process so you can pay for your order. Then, all you have to do is sit back and wait for your meals to arrive at your door. One great thing is that you do have a couple options for breakfast, which is something that many meal delivery services seem to skimp on or skip completely. For example, they offer an Oatmeal Breakfast that’s made of steel cut oats and cinnamon. This is the perfect way to start your day off with complex carbs needed for sustained energy. Or you can get their Muesli Breakfast, which is rolled oats with raisins and berries, which also has a lot of good, complex carbohydrates. For lunch and dinner, their meals are typically packed with meat, but there are a couple vegan options to choose from. On the menu that we choose from, we had the following options: Roasted Chicken, BBQ Chicken, Sizzling Steak, BBQ Steak, Zesty Salmon, Herb Salmon, Roasted Tilapia, Lemon Chicken, Lemon Tilapia, Bean Soup, and Broccoli Soup. All of these are packed with the right macros needed to sustain an athletes or fitness enthusiasts diet. They stay away from refined sugars, bad carbohydrates, and gluten (in most cases). For specific nutritional ingredients in each meal you’ll have the ability to log on to their website and see everything from calories to grams of protein. With a variety of fish and meat options, there’s sure to be something that suits your preferences. For vegan dishes, they offer a Vegan Protein meal with beans in a citrusy marinade or Vegan Detox that has nine different roasted vegetables. To create your meals, they use natural ingredients from the best local suppliers. Each meal will contain up to eight ounces of lean protein, plus 10 ounces of veggies and grain. This ensures you’re getting a well-balanced meal of all the nutrients your body needs. It’ll especially be great after a long day or an intense workout. Meals can be delivered to anywhere within the United States and Canada, making MealPro accessible to a wide array of customers. After you’ve placed your order, you can expect your meals to arrive within one to three business days. The actual time it takes all depends on your location. After your first order, your meals will start coming on a weekly basis. However, you can pause or cancel your subscription at any time. This means you aren’t locked into weekly deliveries if you decide you need to take a break or if MealPro just isn’t for you anymore. Your MealPro dishes will be stored in a styrofoam cooler, which is designed to keep your food cold and fresh during transportation. 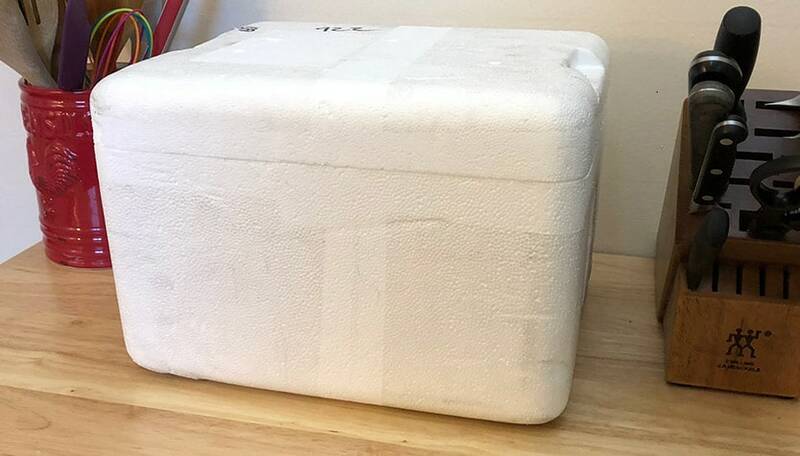 There will also be dry ice in the cooler, which you’ll want to dispose of properly once you’ve received and opened up your package. Each individual meal is stored inside a black tray and sealed with plastic on top. You’ll notice all the details about your meal and cooking instructions on this packaging, which is pretty convenient. There are no additional instruction cards or anything like that. There is no nutritional information listed on the meal or anywhere in box. At first this disappointed me but then I realized this was to save money, which eventually gets passed along to the customer. If you want to look-up any nutritional information on the meals you received, just log on to their site and you’ll find everything needed. The meal trays are recyclable, as is the styrofoam cooler. However, not all recycling facilities accept styrofoam. You’ll need to check with your local recycling center to see if it’s something they can take. Styrofoam boxes are also pretty tough to throw away since they’re so big and cannot be easily broken down. I would have to say that the MealPro packaging is one of the only things that they could really improve upon. Odds are, you’ve purchased some sort of frozen, microwaveable meal at the grocery store before. And there’s a good chance you’ve been less than impressed with some of them. So, you might be wondering how these microwave meals could possibly taste great. But they actually do. The biggest problem with most microwave meals is that they tend to be bland and they get all soggy once you’ve microwaved them. That isn’t the case with MealPro. The meals are actually never frozen, they come fresh, cold, and ready to heated and eaten. We love the fact that there are no artificial flavors or additives in any of their meals. One of the great things about MealPro is that they do offer a satisfaction guarantee if you aren’t happy with one of your meals. All you have to do is reach out, inform them of the problem, and they’ll remedy the situation or offer to give you your money back. To ensure your meals stay fresh, you’ll also want to make sure they’re stored properly. Once you receive them, you can store your meals in the fridge and enjoy them within four to five days. If you choose to freeze them, they’ll keep for three to four weeks. For the best taste, we recommend eating them as soon as you can instead of freezing. When you consider the fact that these are microwave meals, your expectations might not be that high. But they really are impressive dishes when you consider the simplicity of it all. We received a complimentary sample MealPro meal to review and it exceeded our expectations. Being a pre-cooked microwavable meal, I thought that the chicken would be dry. However, it wasn’t at all. It tasted like it was cooked the day before we received it and kept cold—the perfect leftovers. The pricing for your MealPro order ultimately comes down to how many meals are in your box and what you choose to order. You have the choose between 10 or 15 meals inside your box, but each dish costs something different. For your morning meal, you can grab the Oatmeal Breakfast for $2.99 or the Muesli Breakfast for $4.99. Entrees range from $9.99 to $12.49. Roasted Chicken is the least expensive, while the Zesty Salmon will cost you the most. You can also get the Vegan Protein or the Vegan Detox for $9.49 or $8.49, respectively. And the Bean Soup and Broccoli Soup will cost you $4.99 each. If you’re on a budget, you’ll just want to pay attention to what each meal costs so you can be sure you’re not going overboard. If you choose to receive 15 meals in your order, you will get free shipping, which is an added bonus. However, for those looking to just get 10 meals, you’re going to have to pay an additional $10 for shipping fees. If you’re looking for a quick and easy way to make meals that are flavorful and provide your body with the nutrition it needs, MealPro is a great service to consider. With weekly deliveries, they’ve taken the guesswork out of meal planning for you. Instead of having to choose your meals, do the grocery shopping, and then spend ages in the kitchen, you can let MealPro handle it all. This allows you to focus on the other things you need to get done, like putting in more hours at the gym. MealPro has a great satisfaction guarantee and loyalty program, both are things we don’t always see in meal delivery programs. So that’s a nice added bonus. 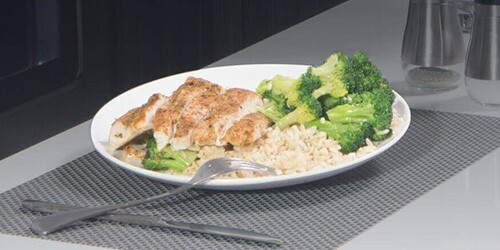 If you’re a fitness enthusiast, athlete, or bodybuilder, MealPro is a great meal delivery option. Have a question about MealPro that we didn’t answer? Feel free to leave a comment below and we’ll get back to you as soon as possible!